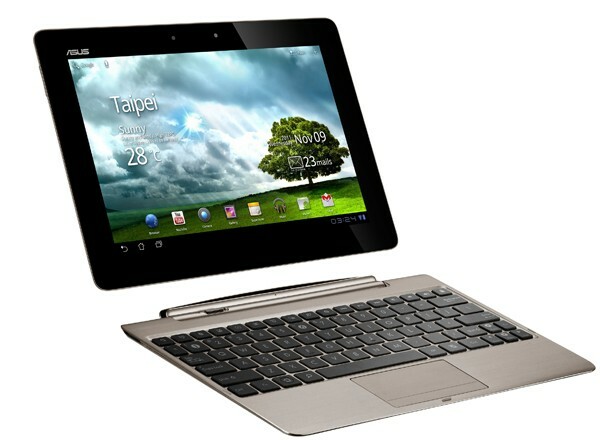 The Asus Transformer prime with Nvidia Tegra 3 and Ice Cream Sandwich has gone up for preorder in the United States. Making it the first Nvidia Tegra 3 tab and the first tablet with Ice Cream Sandwich. This Hybrid tablet will be available in December and will feature a 1.3GHz quad-core processor, 1GB of DDR2 RAM, an 8 megapixel rear camera and a 1.2 megapixel front camera. It will initially come with Android 3.2 which will be later upgraded to ICS. It will be available in two color options of amethyst gray or champagne gold and two storage sizes 32 GB for US$500 and 64GB for US $ 600 (Rs 25000 and 30,000 respectively).